SHOTS Miami - Interactive SHOT bar. SHOTS, Props and Fun are what we do. This is a movement and you are invited to experience it for yourself. Each SHOT comes with its’ own show where YOU ARE THE STAR! Come See it! Interactive SHOT bar. SHOTS, Props and Fun are what we do. This is a movement and you are invited to experience it for yourself. Each SHOT comes with its’ own show where YOU ARE THE STAR! Come See it! 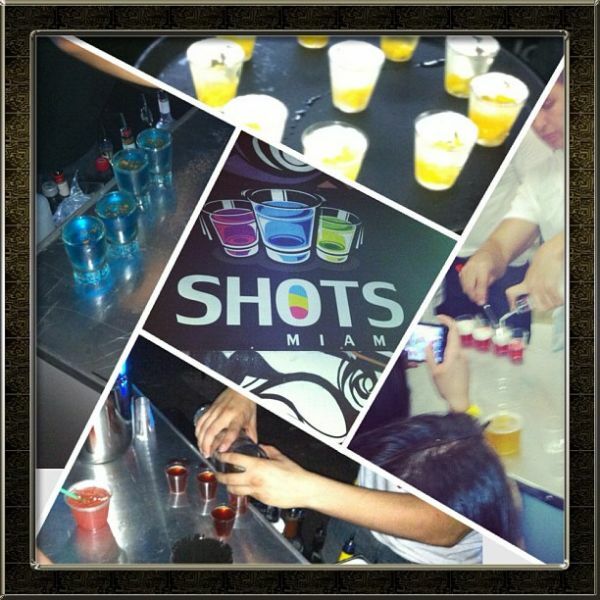 SHOTS Miami is an interactive shot bar where we also serve everyday cocktails, craft beers and what we like to call formula wines. Mission: To provide a fun, high energy environment where customer service is the primary concern. We aim to provide our customers with a unique, memory making experience through the use of props, cocktails and quality people. This is a place where anyone can come and be a superstar for the moment. Our interactive shot bar is something truly unique in the world of liquors. Our interactive shot bar is something truly unique in the world of liquors.